Are mental conditions cognizable under the ADA? Yes, the ADA’s primary definition of a disability says “any physical or mental impairment” that substantially limits a major life activity. 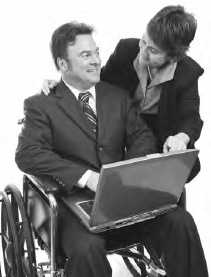 Under the Americans with Disabilities Act, employers cannot discriminate against disabled people and must accommodate any reasonable request that does not cause the employer undue hardship in return (iStock).